This high performance Antares barlow # UB1.5STL will multiply the power of any inserted eyepiece by a factor of 1.5x. It features a fully-multicoated achromatic design. This short barlow will work in diagonals or reflectors, has has internal darkening and edge-blackened lenses. 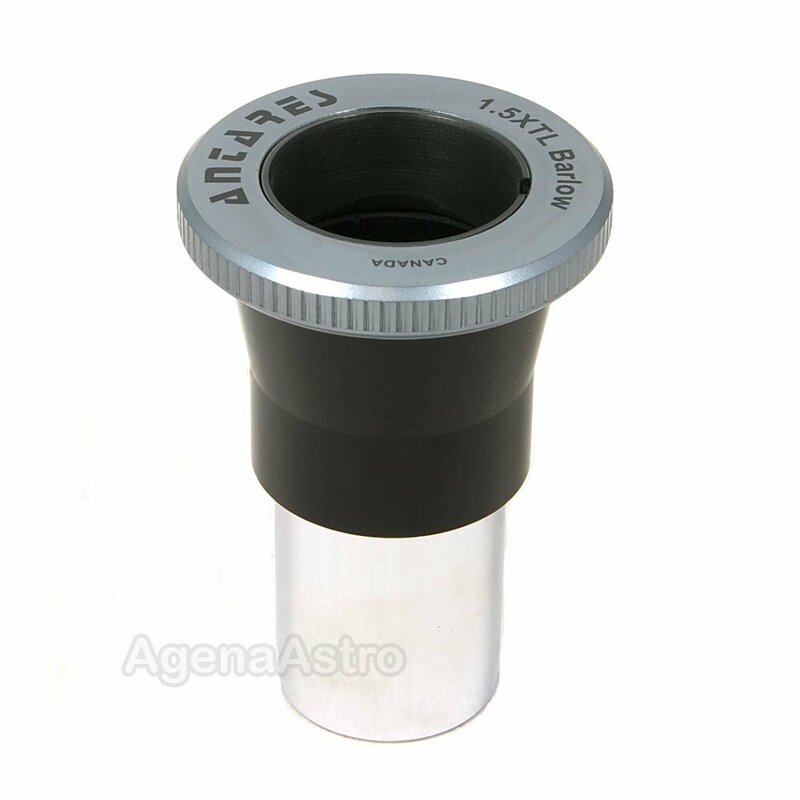 Suitable for high contrast, medium power applications in any telescope. Threaded to accept standard 1.25" astronomy filters. Made in Canada. This barlow features an integrated twist-lock adapter / clamping mechanism to securely center and hold your eyepiece. The inner compression ring is made of polypropylene and will not mar your eyepieces. Unscrewing the twist-lock ring exposes a standard male T-thread (M42x0.75) underneath which can be used to couple imaging devices with the barlow.